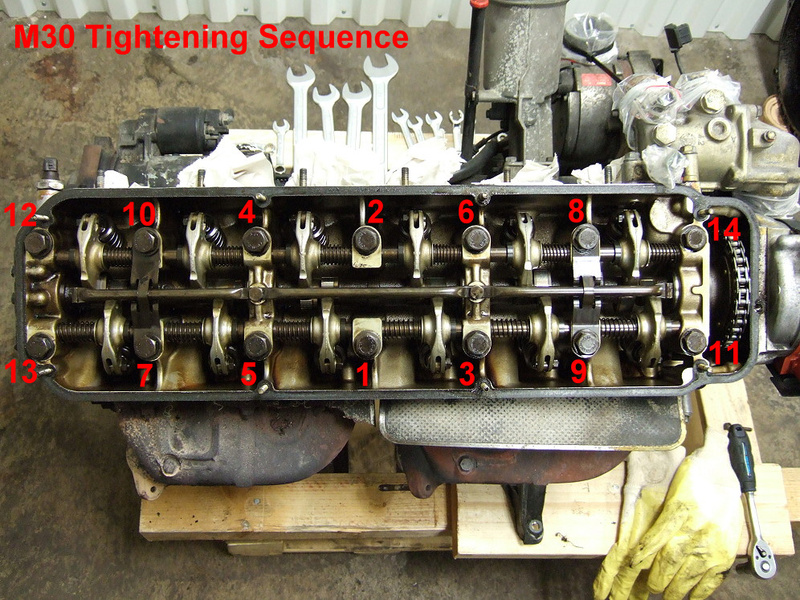 Follow these loosening and tightening sequences to avoid cylinder head distortion during removal and also to get proper sealing during installation. Loosening sequence for an M30 engine. Tightening sequence for an M30 engine. The head bolts should be tightened in three stages.